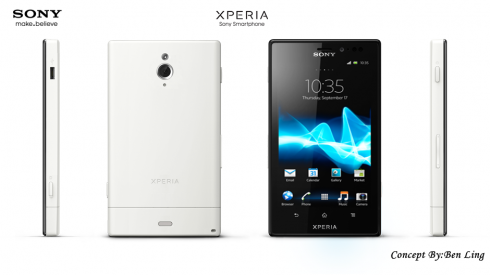 Sony Xperia Leon Concept – Finally a 5 Inch Phablet From Sony! Ben Ling emailed us a new Sony Xperia concept, the Xperia Leon, finally a phablet made by the Japanese company. We’ve seen Samsung phablets, ones made by HTC and finally this mockup for Sony. This Leon packs a 5 inch Full HD TFT scratch resistant display and a 13 megapixel camera with LED flash and Exmor R sensor. The handset supports 16X digital zoom and does Full HD 1080p video recording. It packs a front 2 megapixel camera, also with 1080p capture and inside the Sony phablet there’s a quad core 1.5 GHz Cortex A9 processor, a Qualcomm MSM8260 Snapdragon unit. The device measures 9.7mm in thickness, has NFC support, a HDMI port and 2GB of RAM. The OS here is Android 4.1 Jelly Bean and 32GB of storage are also included in a package that weighs a mere 149 grams. Sony Xperia Leon offers 359 ppi pixel density and benefits from the advantage of the Sony Mobile BRAVIA Engine tech, plus the Sony White Magic tech and xLOUD. Finally there’s a Li-Ion 2500 mAh battery on board and Bluetooth 4.0. From the pictures I’d think that we’re dealing with a smaller phone, but instead it’s a bigger one. What do you think?